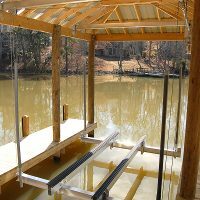 What type of boathouse lifts are you looking for? 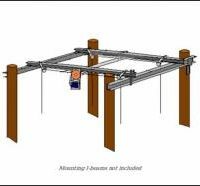 For the DIY Boat House project Boat Lift Warehouse has a huge selection and inventory of Boathouse Boat lift Kit s for you to choose from. 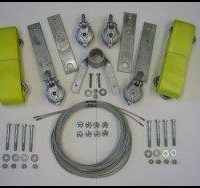 Galvanized or Aluminum, Cradle or Sling, Wood Mount, or Steel you can find it here! If you don’t see what you want, just give us a call. 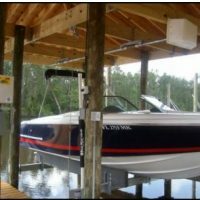 Using your Boathouse as the structure for your boatlift is without a doubt the most cost effective way to lift your boat. 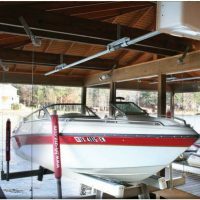 It is a big savings not having to purchase supporting components or a frame like comes with a Freestanding Boatlift. 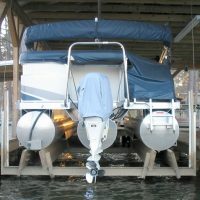 Don’t bother looking for Used Boathouse Lifts! 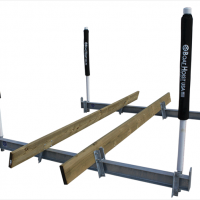 Not only do Used Boathouse Lifts do not have a warranty they may be missing parts that you can not find and the cost is usually nearly the same.